Last week the International Sea Turtle Society hosted their 37th Annual Symposium on Sea Turtle Biology and conservation in Las Vegas, Nevada. Annabelle Brooks and Meagan Gary from CEI attended to represent CEI and have presented two talks and a poster during the week. 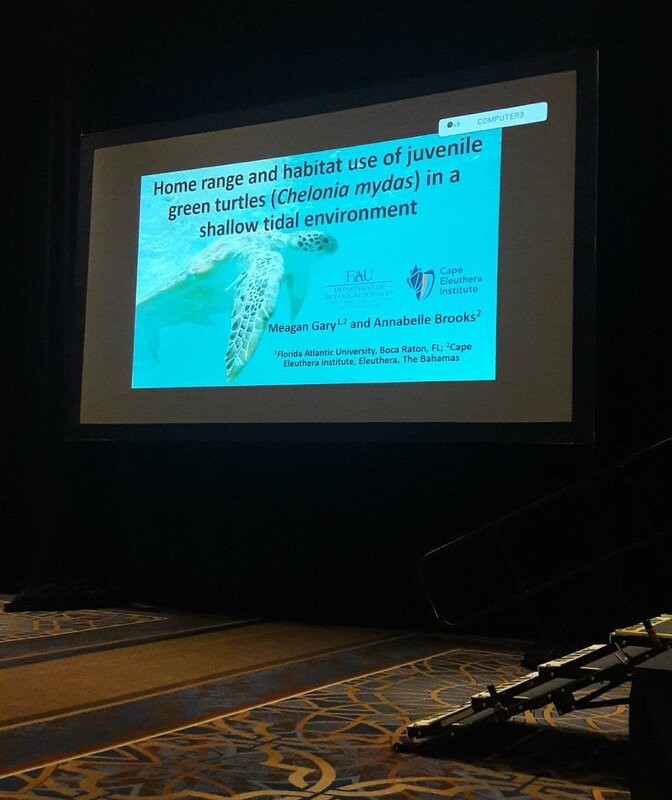 Meagan, who successfully defended her Masters project this last fall, presented her findings on home ranges in juvenile green turtles in the in-water biology session. 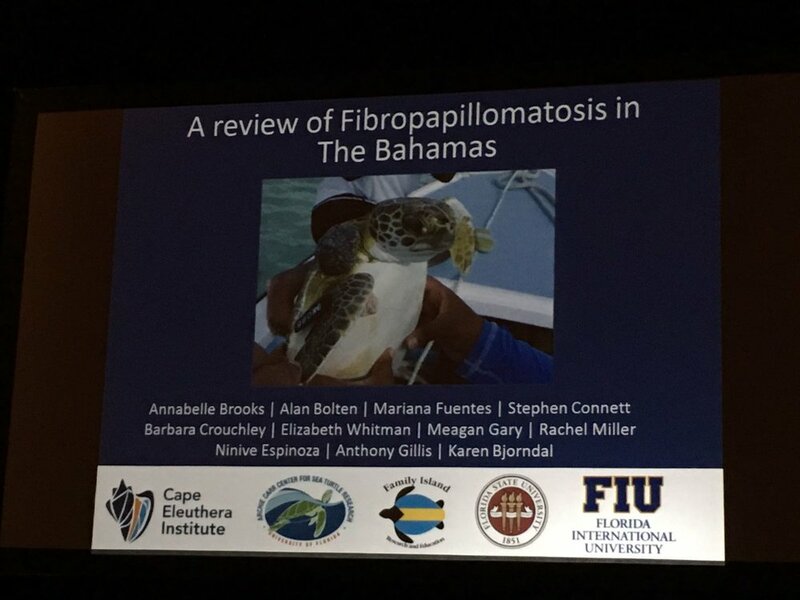 Annabelle presented a review of the Fibropapilloma disease in The Bahamas in the turtle physiology and health session. The symposium draws scientists and conservation practitioners from all over the world and as well as talks, experts lead workshop sessions on various topics. Annabelle and Meagan participated in a workshop for utilizing drones in our research and another on the study of epibionts (organisms living on the outside of) sea turtles. Another exciting aspect of congregating with other sea turtle researchers, is the opportunity to get together and share ideas. The CEI team joined forces with the University of Florida Archie Carr Center for Sea Turtle Research, Florida State University and Florida International University to discuss thoughts on monitoring for the Fiibropapilloma disease as well as future seagrass research. Annabelle and Meagan wish to thank our organization and donors for sponsoring their travels to the productive conference!